Most of the people now that uses internet knows how to shop online.Shopping online makes life easier especially for a busy mom like me.Yes,I'm busy taking care of kids.When i read the news that Lazada will be having a sale and there's so many brands that are also participating i was so excited and started browsing the Lazada app in my mobile.If you have'nt downloaded their app i suggest you must download it now for more convenience shopping. 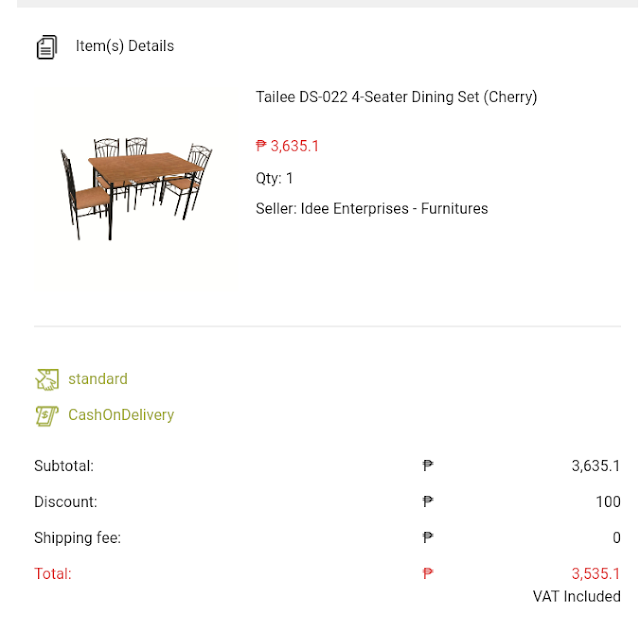 I woke up at around 2 in the morning on November 9 and hard to get back sleep again so i browse and look for something to buy at Lazada app.Afte few minutes of browsing,I saw a dining table in related search that only costs Php 3,635.1 from it's original price of Php 8,080.00 that was huge discount.So i immediately added it to my cart because we need a new dining table.I also used the code LAZAPPNOV to get Php 100 discount so i just paid Php 3,535.1 and also the item is in free shipping,So much discount for a dining table right?I easily checked out with the payment option of COD (cash on delivery).After checking out an email confirmation was sent to my email saying that my order was recieved and it will be processed ot says that the delivery of the item is Nov. 11 - Nov.20.After purchasing the dining set i went to sleep again. 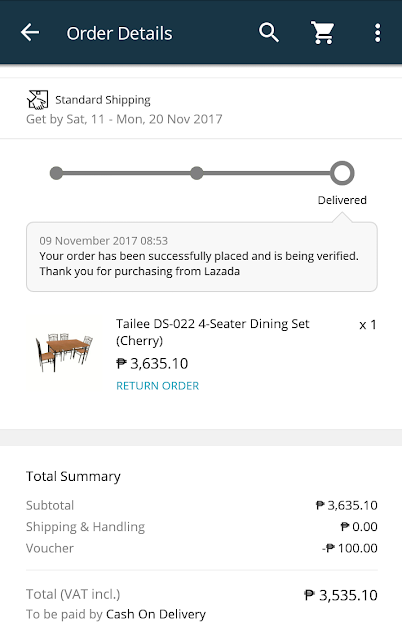 In the morning around 7 am,I received an SMS saying that Lazada will be delivering my order and they will call me for other information.That was fast! 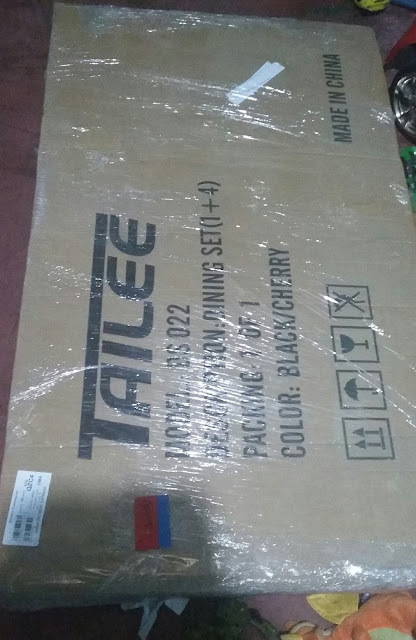 I thought.I prepared my exact cash for the payment and wait for the call of the Lazada representative.By 4 in the afternoon they call and saying that they are on the way to deliver the item.I received the item in less than 24 hours!I thought it will be deliver by couple of days as what is in the email says.Imagine the item is in the huge box and despite of heavy rain they deliver my order.Thumbs up for the delivery of Lazada. Ordering online is hassle free especially when the delivery is fast and there's many option to pay.This is what we called shopping making easy as 1 2 3 and there's the item in your doorstep.I really thank the guys who delivered my order despite of heavy rain fall. I highly suggest purchasing in Lazada to shop this holiday season especially they are having a nationwide on-going sale free shipping on most of the items plus discount codes to grab and use.